For the ultimate Lamborghini enthusiast comes this – the $32,000 BMC bicycle. Called the ‘50th Anniversary Lamborghini Edition impec’, the bright yellow bike celebrates, you guessed it, Lambo’s 50th anniversary. So what do you get for your $32K? BMC is a Swiss company that makes some of the finest bikes in the world, with impec, a sub-brand of the company, making the finest BMCs. Australia’s own Cadel Even used an impec to take victory in the 2011 Tour de France. Like Lamborghini, impec uses exotic materials in its bikes. Bespoke carbon tubes make up the frame, with the Lambo bike joined together by something called ‘Shell Nodes’. 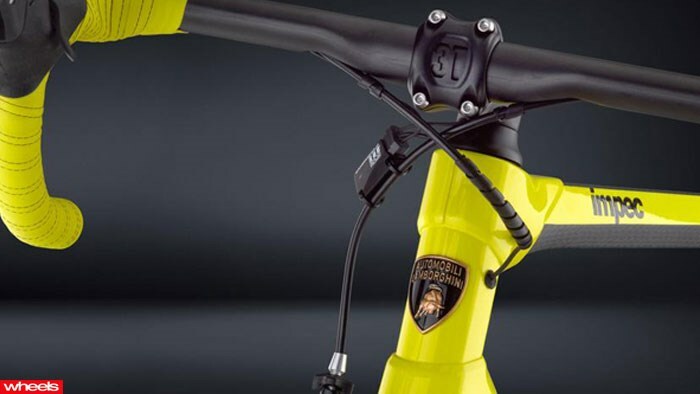 It also gets a racy new paintjob, the iconic Lamborghini Bull badge and handlebars wrapped in the same yellow leather used in Lambo’s road cars. Ride wise, expect the Lamborghini bike to be similar to other impecs that sell for half the price. Still, only 50 will be made, so if you’ve got the money, why not?